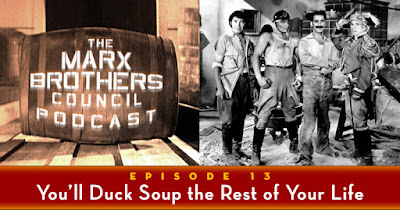 In Episode 2 of The Marx Brothers Council Podcast, we discuss whether we disagree enough, then list our least-favorite moments in the Marxes' films. A quick trip to the news desk is followed by a chat with Joe Adamson, renowned author of the seminal Marxist tome Groucho, Harpo, Chico and Sometimes Zeppo. Also, we reveal one simple step you can take for a chance to win a copy of Gimme a Thrill: The Story of I'll Say She Is. Or stream from this page via the embed below. Discuss this episode here, and at The Marx Brothers Council Facebook group. And if you like our podcast, please tell the world! Write glowing reviews on iTunes and Google! Share it on Facebook and Twitter and all that stuff! Tell your friends! They're your friends and they have a right to know. Pity Jay H. isn't on FB anymore (or currently, at any rate), so I would like to volunteer to not win in his place. Great episode, fellas!!! I love hearing your opinions on the films and the conversation with Joe was really fun. Glad to hear he's turned around a bit on "Night in Casablanca". Fantastic program! Thanks for doing it, love the insight. 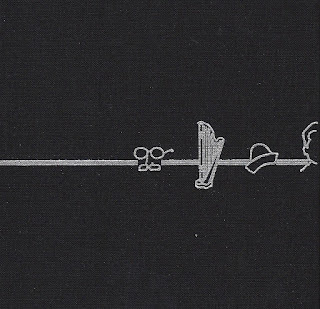 Just when you thought there was nothing else to be said about The Marx Brothers, this podcast series came along. The idea. You guys have given me an even greater appreciation for the three and sometimes four Marxes from Manhattan, and I never thought that was possible, either. I totally loved the review and ranking of films from the first podcast, the discussion of the pronunciation of "Chico" (hmmm... shouldn't it be the way "Chicolini" was pronounced? ), and then the interview with Joe Adamson in #2. The technical sound difficulties only enhanced Mr. Adamson's commentary. In fact, at times it reminded me of the strange language the Marxes and Allan Jones had during the aviator's speech in ANATO. As well, having the three of you on the podcast, Matthew, Noah, and Bob, not to be confused with Abraham, Martin, and John (and sometimes Robert), makes it more enjoyable, for reasons I can't explain because there aren't any. I hope you do have Mr. Adamson back, but next time without Matthew, Noah, and Bob. Looking forward to podcast #3, because I certainly can't look backward. Thank you, Jay! We love you too, but why don't you have my book in hardcover? Because I can't read anyhow. I just like to look at the pictures. 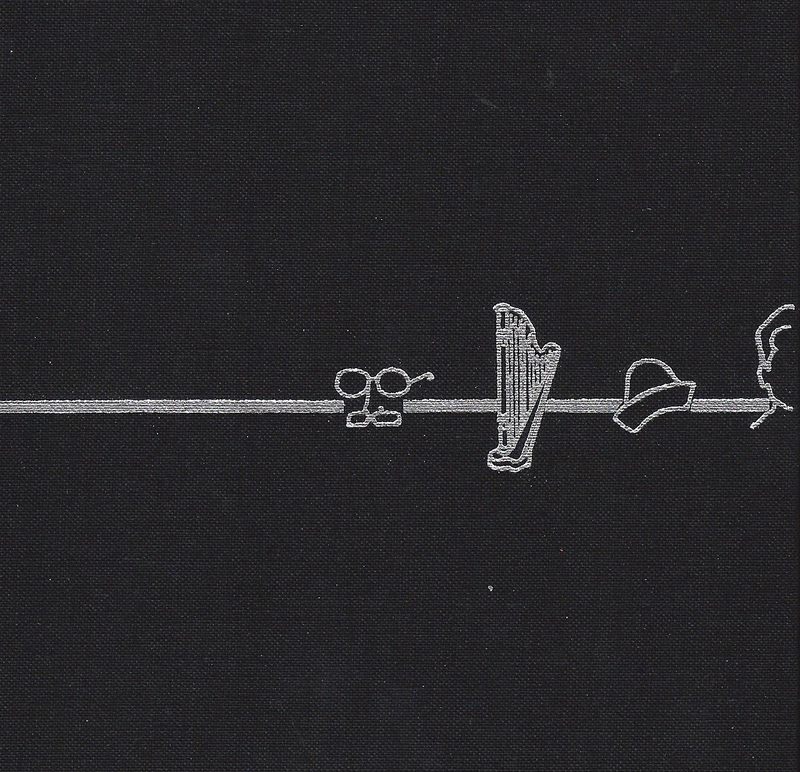 Any chance you could cover something on myths surrounding the marx brothers? Congratulations! You're our winner. Please email your address to marxbrotherscouncilpodcast@gmail.com within seven days of this message. And my least favorite scene is the cigar scene in At the Circus. Chico was always a player but never a moron. This is a nice podcast for Marxists. We need an episode devoted to Zeppo, please. Steve Paton is our lucky book winner. Thanks to everyone who entered!